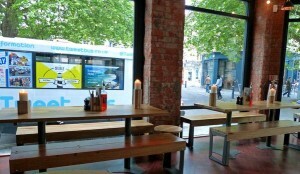 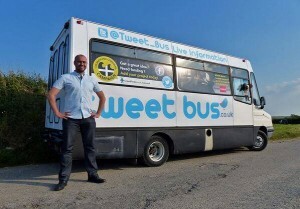 Tweet Bus | A Social Enterprise on Wheels. 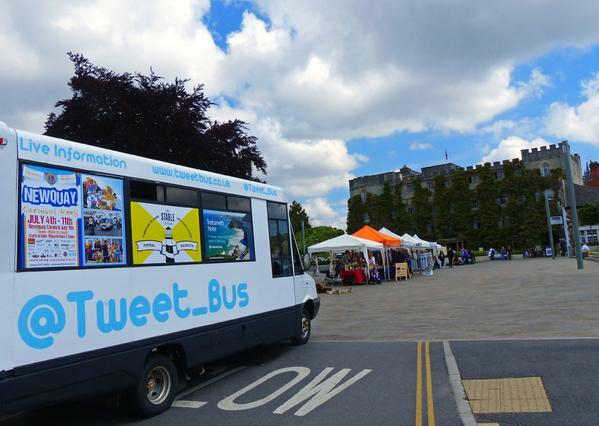 Tweet Bus is a mobile publicity company, a registered Community Interest Marketing Company that provides a unique way to get your message out. 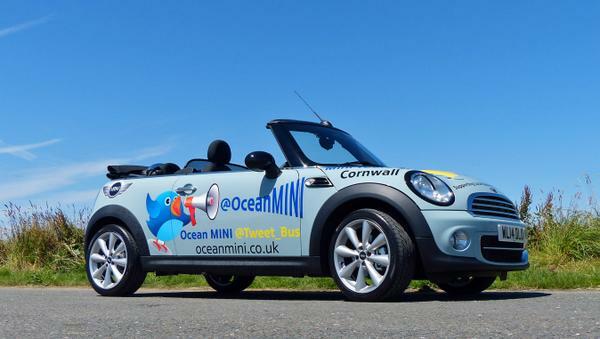 We provide mobile advertising and online social media marketing in Cornwall and the south west of England including Devon, Somerset and Dorset. 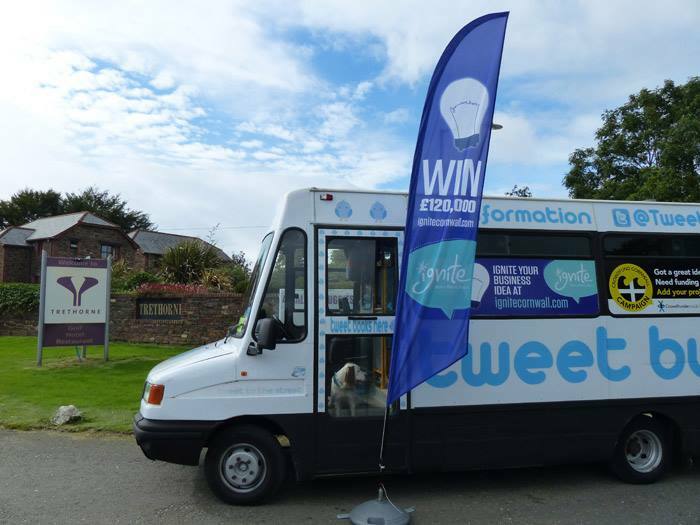 For more information on how we can help your business to advertise, market and publicise your products/services, please contact us. 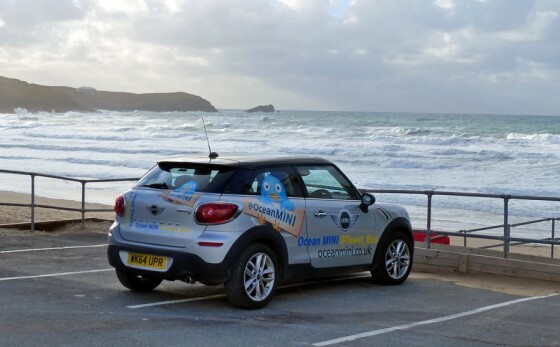 Ocean MINI Falmouth commissioned Tweet Bus to promote their MINI brand and provided 4 different models over two years for product placement work using the hashtag #MINITweet. 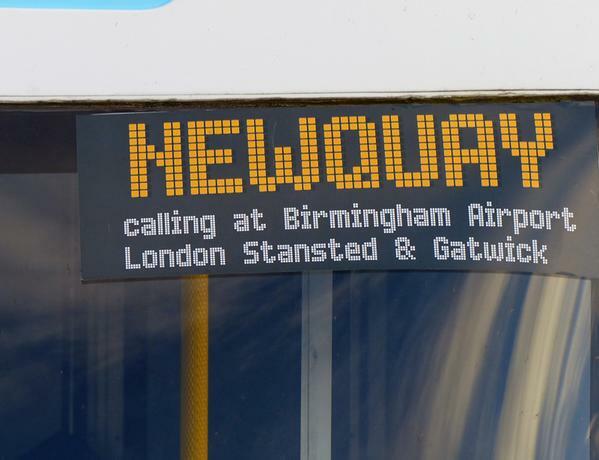 Tweet Bus’ longest destination read: Newquay via Taunton, Cheddar, Glastonbury, Street, Bruton, Wincanton, Bath, Bristol, Gloucester, Worcester, Bewley, Birmingham Airport, Birmingham, Coventry, Warwick, Rugby, Kettering, Rothwell, Thornby, Northampton, Milton Keynes, Leighton Buzzard, Hitchen, Letchworth, Bishops Stortford, Stanstead Airport, Braintree, Chelmsford, Seven Oaks, Tunbridge Wells, East Grinstead, Gatwick Airport, Burgess Hill, Brighton, Chichester, Ringwood, Bridport, Charmouth, Lyme Regis, Sidmouth, Torquay, Paignton, Plymouth. 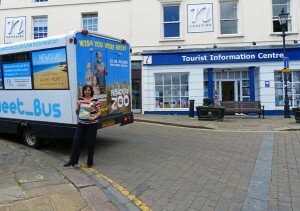 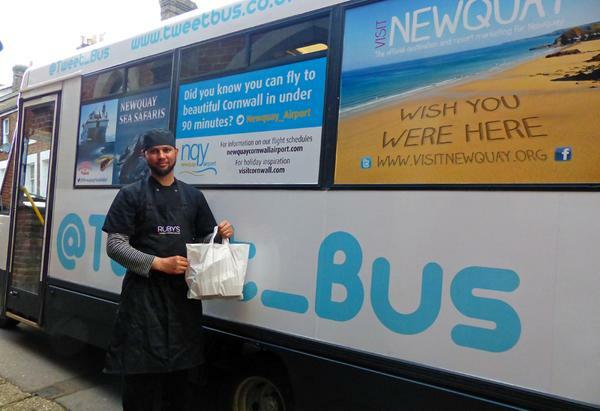 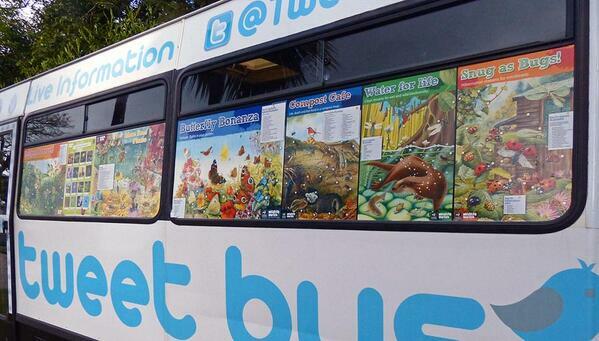 Tweet Bus delivered Newquay tourism brochures in an exchange promotion with other Tourist Info centres brochures. 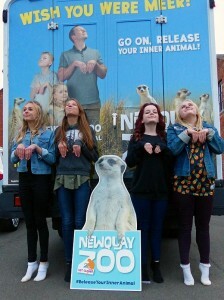 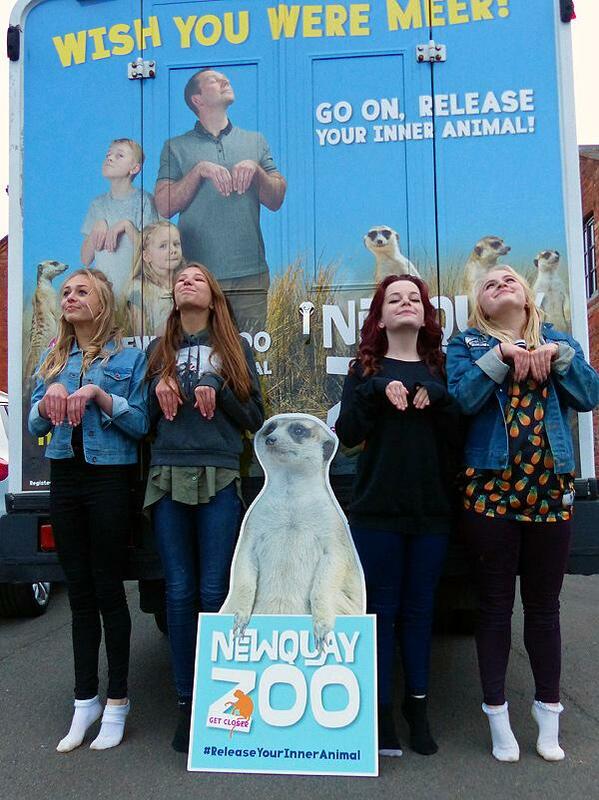 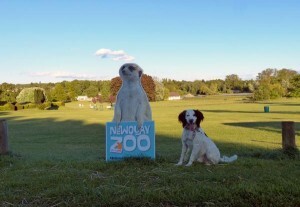 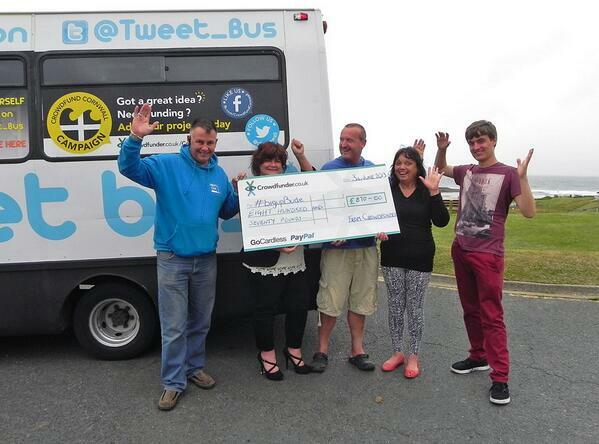 The trip was funded by window advertising from Newquay Tourist Information Centre, Newquay Airport, Newquay Sea Safaris, Newquay Carnival, The Stable, Fistral beach, Trebarwith Hotel, Newquay with Newquay Zoo‘s 4 metre advert on the rear of the bus. 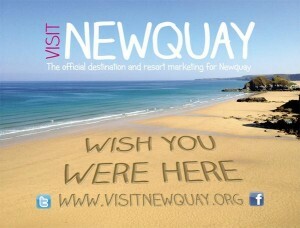 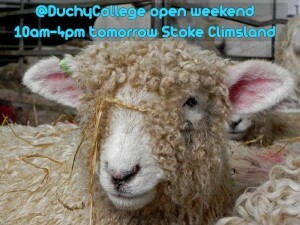 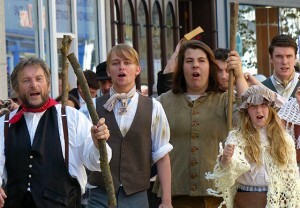 A sample of the Newquay tour tweets. 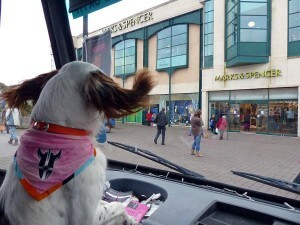 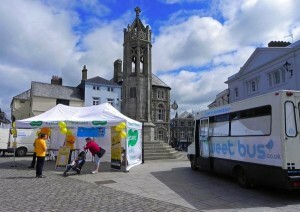 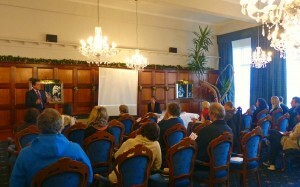 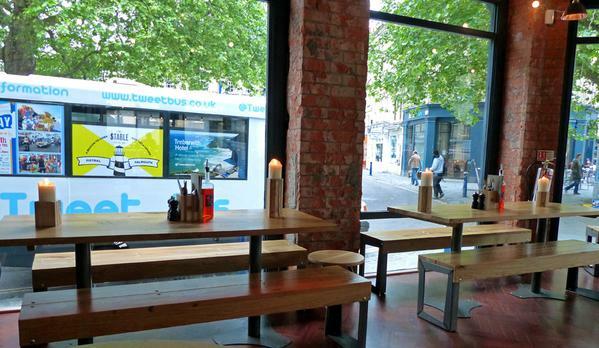 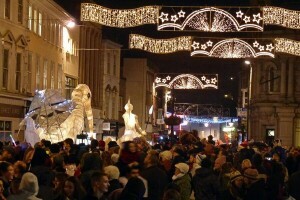 Tweet Bus visited towns in advance of Cornwall Council’s Digital High Street program. 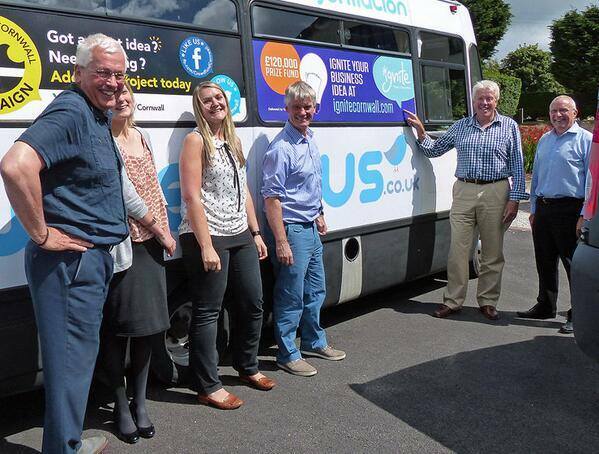 Visiting small businesses and publicising Council funded workshops and digital skills grants. 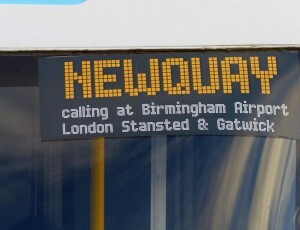 A Tweet Bus advertising campaign to promote the availability and benefits of Superfast Cornwall’s fibre broadband roll-out in Cornwall. 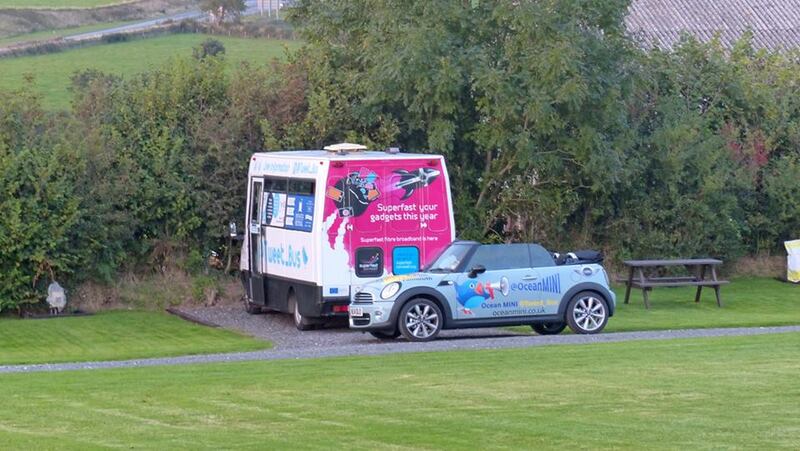 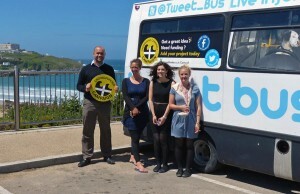 Tweet Bus visited all the towns in Cornwall, promoting businesses already connected to Superfast Broadband. 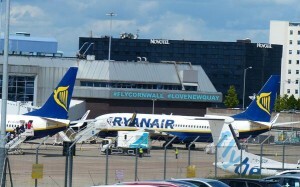 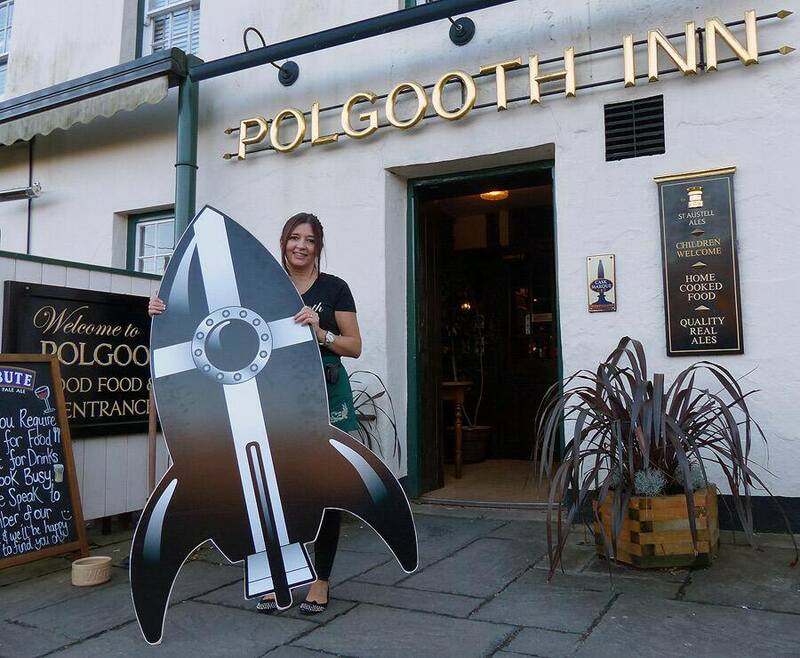 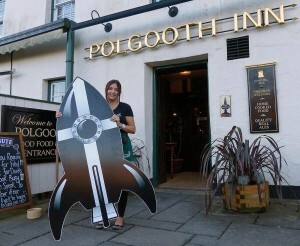 Various sized cut-out rockets (the Superfast Cornwall logo) were created and used as props in the photo shoots. 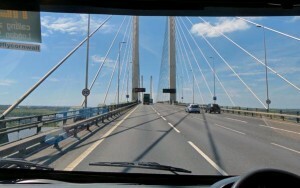 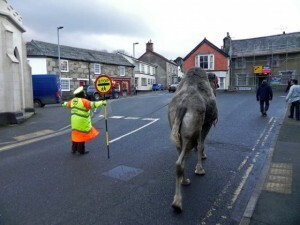 The promotion raised awareness of the coverage, availability and low cost of upgrading to faster fibre broadband. 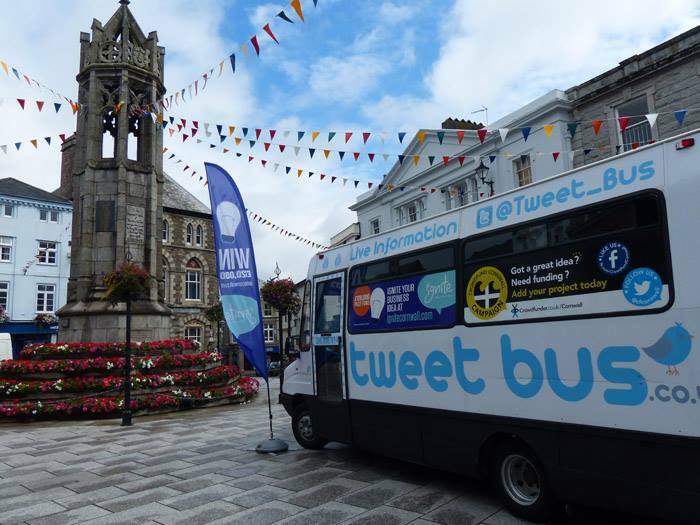 Tweet Bus became the temporary mobile office for regional Superfast Cornwall officers during promotions in town centres and served as a public meeting point to answer members of the public’s questions about the fibre roll-out. 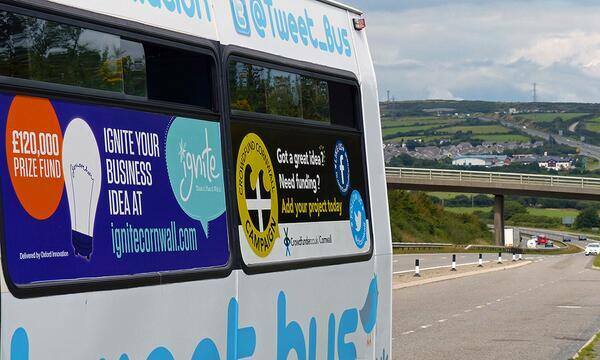 The Tweet Bus Social media media marketing campaign running alongside the promotion delivered publicity tweets and photos to over 40,000 Twitter followers mostly in Cornwall and increased interactions with the Superfast Cornwall Twitter account. 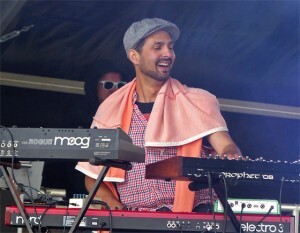 A tour album was created and posted to the Tweet Bus Facebook page. 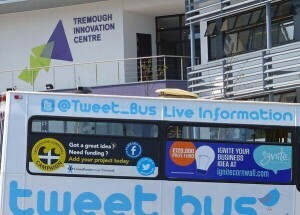 Following a successful tender to advertise and promote the Superfast Cornwall roll-out, Tweet Bus continued it’s twitter campaign and town and business visits. 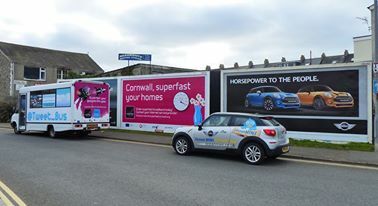 The tour visited towns across the Duchy to advertise Cornwall leading the way in fibre broadband take-up and promoted businesses that had already upgraded. 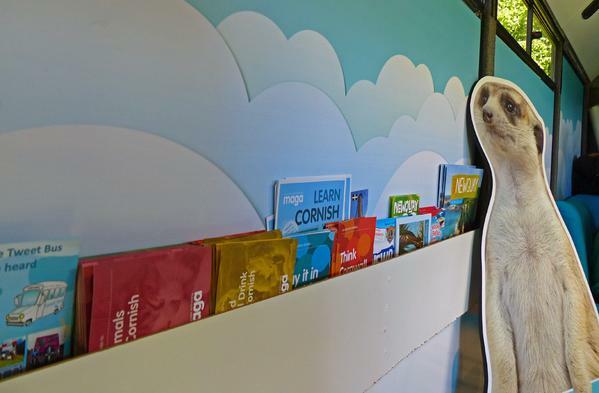 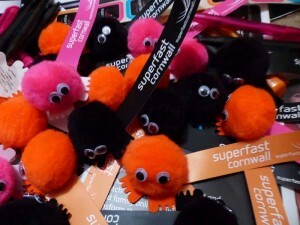 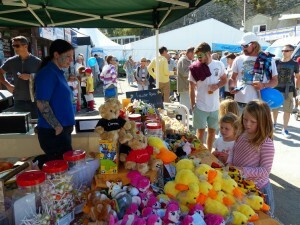 Following the introduction of Superfast Cornwall’s Mascot ‘Superfast Sam’ at The Royal Cornwall Show Tweet Bus took over the mascot style promotions. 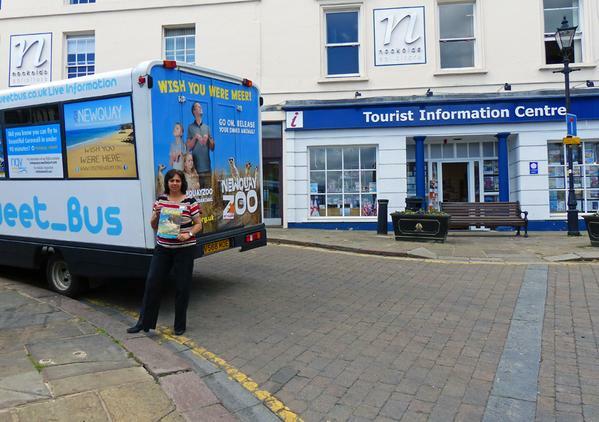 Sam was photographed next to town border signs, holding a white board displaying the latest fibre broadband availability for each town. 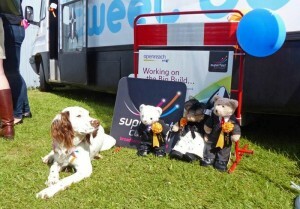 Sam became good friends with Ticket the Tweet Bus dog. 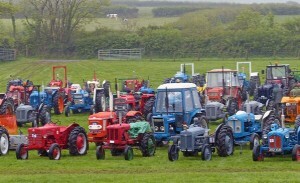 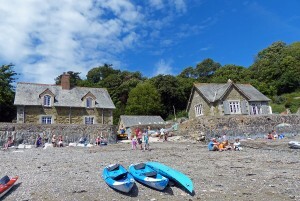 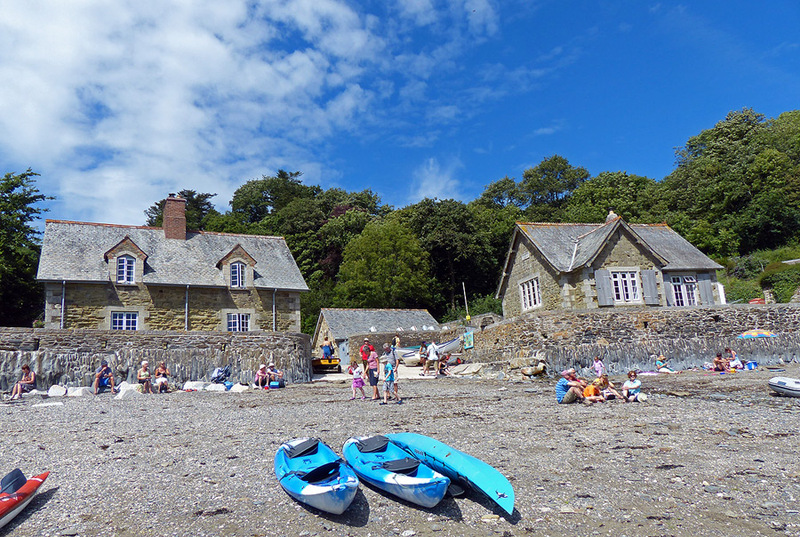 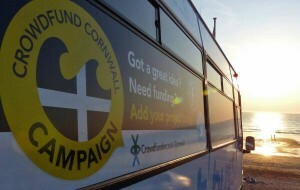 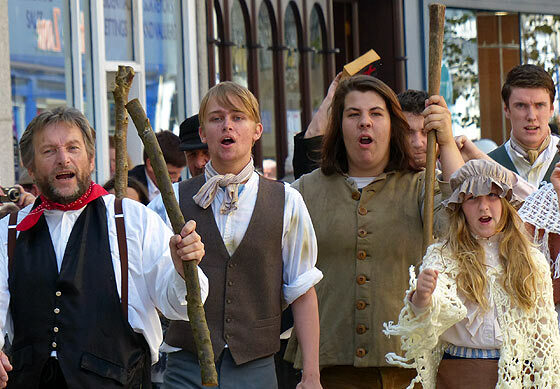 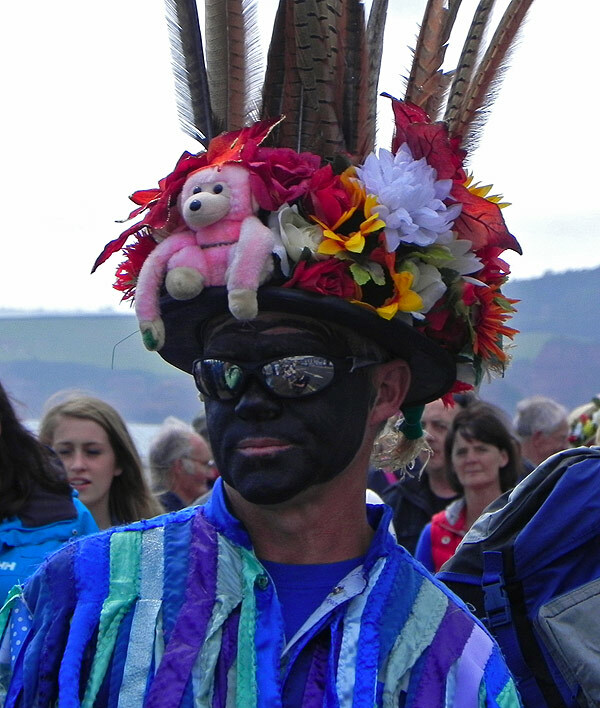 Crowdfund Cornwall Launch Spring/Summer 2013. 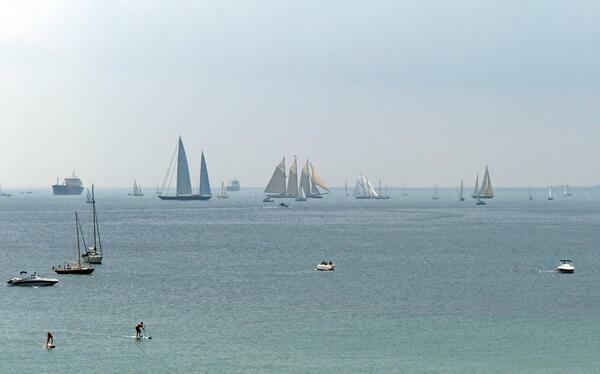 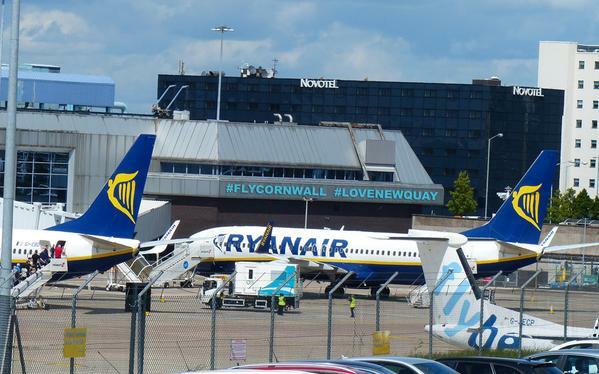 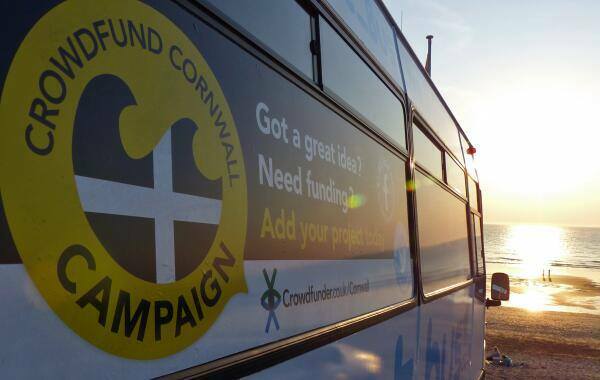 The newly formed Crowdfunder UK relocated their London business to Newquay and launched the first ever regional based crowd funding platform called Crowdfund Cornwall. Tweet Bus displayed window adverts promoting the launch and visited the many people who started Crowdfund campaigns. 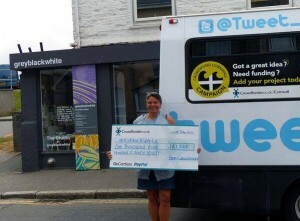 Using a cut-out Crowdfunder UK logo as a prop, crowdfunders were photographed next to the Tweet Bus advert, with promotional photos posted to Twitter with links to their crowdfunded campaigns. A photo album was created from the promotional tour and posted to Facebook. 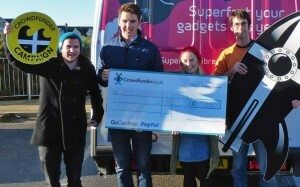 Crowdfunder UK is now the number one Crowdfunding platform in the UK. 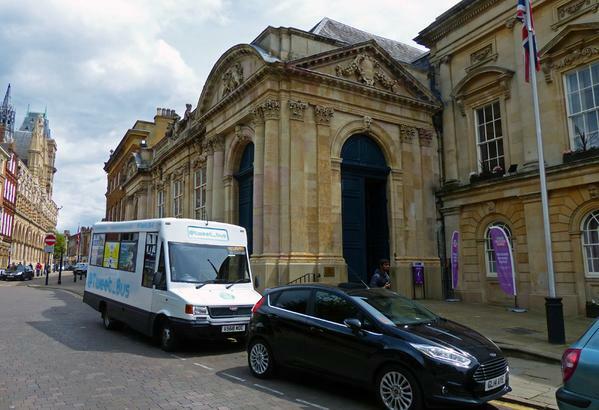 Oxford Innovation commissioned Tweet Bus to promote their £120,000 business start-up competition. 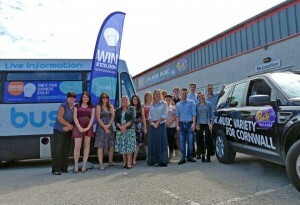 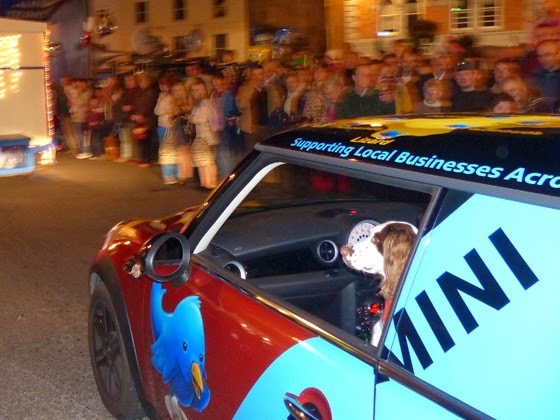 The competition offered mentoring and support from some of Cornwall’s leading businesses who offered their services free to the winner in addition to the cash award. Tweet Bus created large window advertising boards and undertook a tour of the Duchy to visit the various competition sponsors. 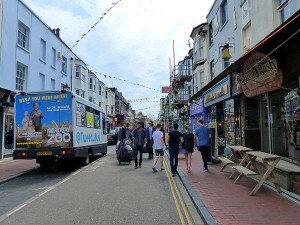 A photo album of the images that were tweeted was created and posted on Facebook. 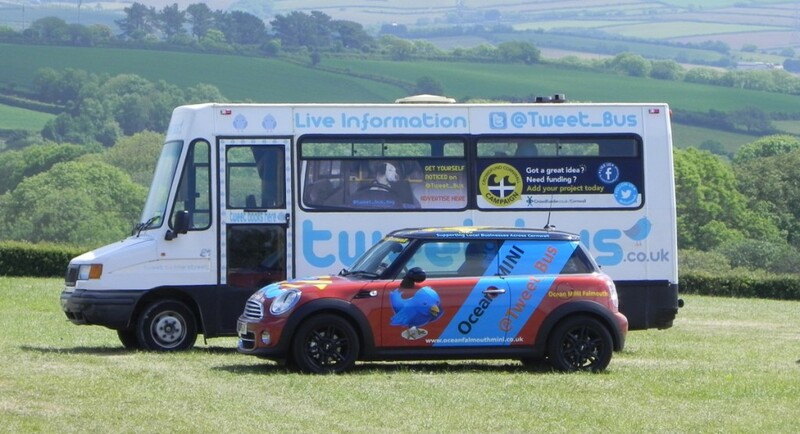 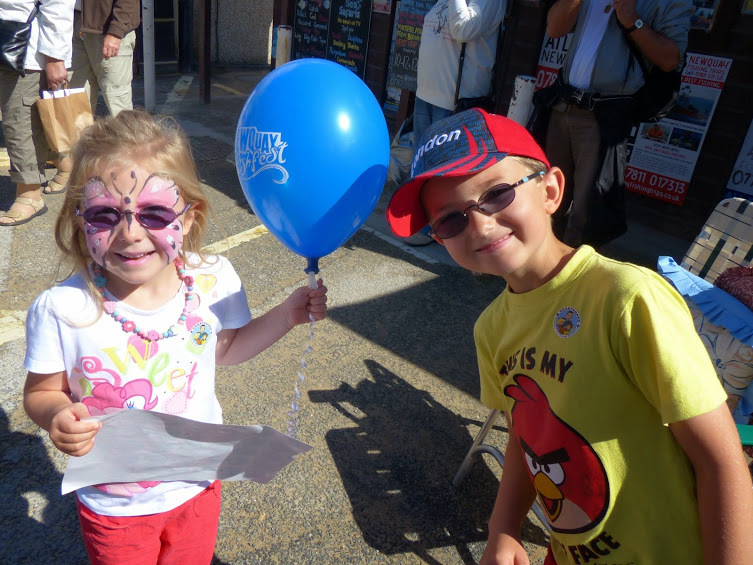 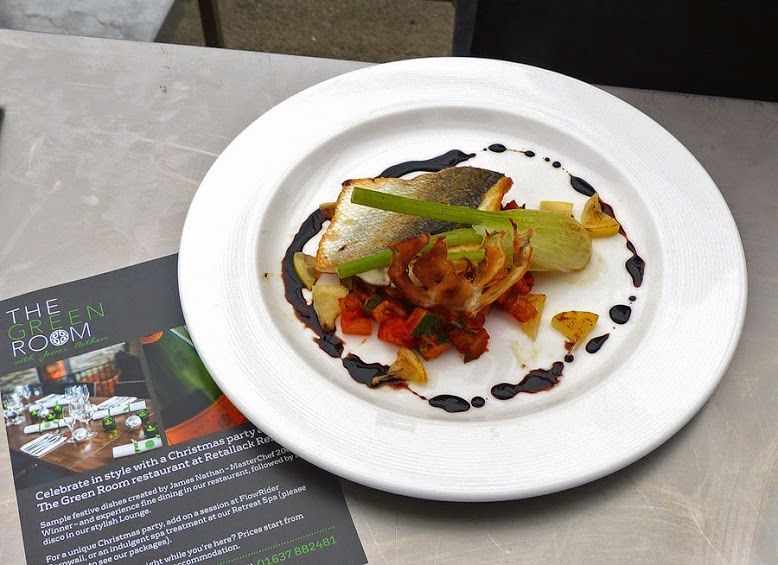 Tweet Bus has been involved in promoting the Newquay Fish Festival for 10 years, creating and managing the website and social media. 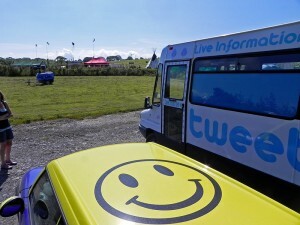 Tweeting live from the festival for the last five years; previous to that providing the photography and promotions that helped expand the festival to where it is today. 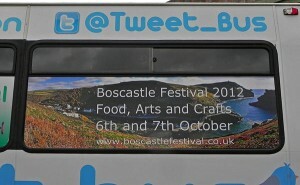 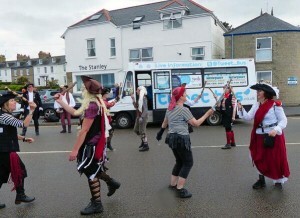 Tweet Bus has been promoting Boscastle Festival for 9 years, having built (and still host) the original website during the festival, while parked in the car park. Tweet Bus has been promoting the festival via twitter and mobile advertising for the last five years. 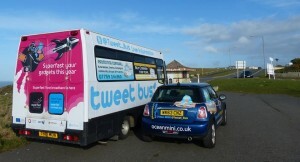 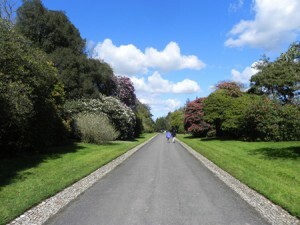 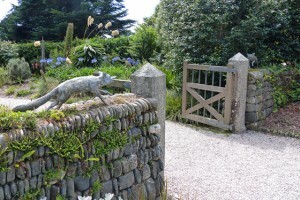 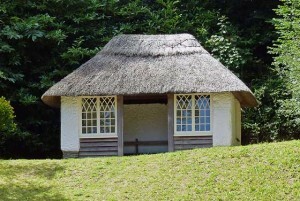 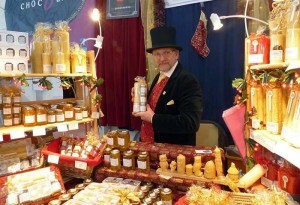 Glendergan Garden invited the Tweet Bus to visit the gardens and tweet photos live from this great Cornish attraction. 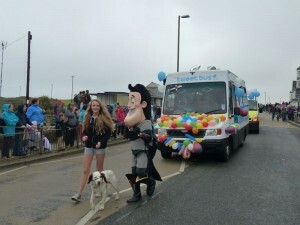 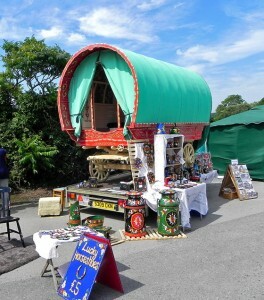 Other events and festivals Tweet bus has promoted in Cornwall.